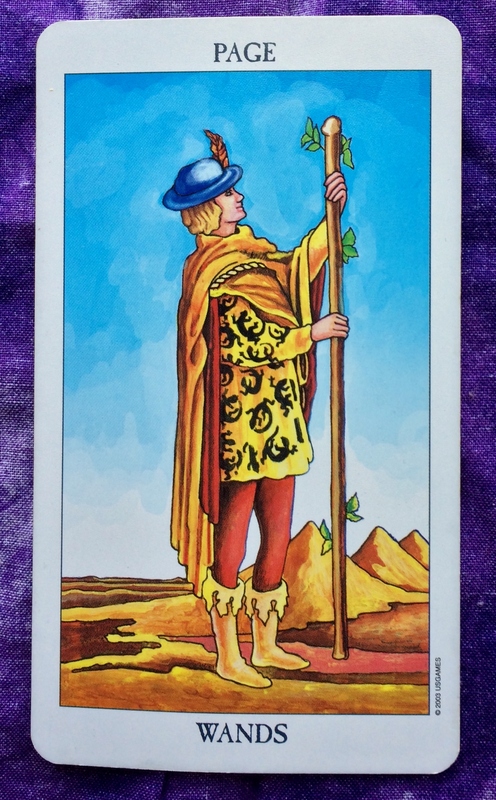 Today’s Tarot card is the Page of Wands. Have you been thinking about starting a new work project, initiating romance, or beginning any creative endeavor you are passionate about? 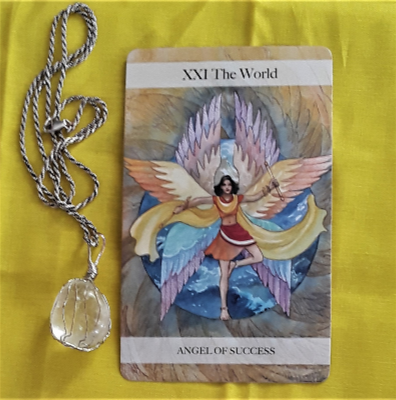 The Page of Wands energy suggests that this is a good time to push forward with these projects now instead of putting them off. If your desire is high but your confidence is low, don’t worry. Talk to the people involved in these projects to get their input and to get to know them better. Take it one step at a time. Each small success will eventually add up to a complete victory. Hi, all! The Tarot card for today is the Page of Wands. Do you have any projects that you have been putting on hold, particularly in the areas of career, work, and romance? Or have you been thinking about doing something new but haven’t it started yet? Now is a great time to get things moving again. This is especially true as we are in new moon energy and eclipse season is over. You could be feeling a little insecure about moving forward, but remember that you only have to take it one step at a time. You will soon build confidence as you see yourself getting closer to achieving your goal. Have an awesome and productive day. Hello, all! The Tarot card to start us off this week is the Page of Wands. This card shows that the good ideas you have been thinking about for a while are beginning to take shape. Someone may be helping you with this project. It could have to do with your career. It could also be that the ingredients for a relationship are finally coming together to create a delicious romantic pie. With this good energy flowing, be aware that you may doubt yourself and lack the confidence to follow through with it all. However, give it your best effort and enjoy the process. Life doesn’t get any better than that — no matter what the outcome. Today we have the Page of Wands. This is a youthful burst of energy available to you today. It’s a great day to take an idea that you have been thinking about for a while and to finally do something to turn the idea into reality. You might even become an inspiration to other people to encourage them to take action. Just make sure not to use all of your energy at once and then become too tired to finish what you started. Pace yourself, stay focused, and see your idea through to the end. Also, don’t let self doubt cause you to give up. Today’s card is the Page of Wands. This is the day to tap into your youthful energy and take your creative projects at home or at work to the next level. You have big ideas but don’t become overwhelmed. Take it step by step and have confidence in your abilities. You may have many ideas in mind, so resist the urge to be restless. Reign in your energy and you will be pleased with the results. You may be an inspiration to someone today with your bright outlook. Or someone may give you the encouragement that inspires you. You may even get a welcome message today, especially with regard to romance.